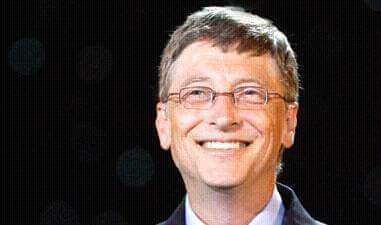 William Henry "Bill" Gates III (born October 28, 1955) popularly known as Bill Gate is an American business magnate, investor, author, and philanthropist. In 1975, Gates and Paul Allen co-founded Microsoft. Bill Gate is the Richest man in the world with a net worth of $79 billion. He is the world’s most prolific humanitarian who donates generously through the Bill & Melinda Gates Foundation. that he would get placed in classes with mostly female students. 3. Gates scored a 1590 out of 1600 on his SATs. 4. Gates, Paul Allen and Paul Gilbert launched a company while Gates and Allen were still students at Lakeside School in Seattle. Their Traf-O-Data 8008 computer was designed to read data from roadside traffic counters and create reports for traffic engineers. University in 1975 to fully devote himself to Microsoft. 6. Gates was arrested in New Mexico in 1977, for jumping a red-light and driving without a licence. 7. Bill Gates aimed to become a millionaire by the age of 30. However, he became a billionaire at 31. 8. At Microsoft, Gates used to memorize employees’ license plates to keep tabs on their comings and goings. “Eventually I had to loosen up, as the company got to a reasonable size,” he said. 9. 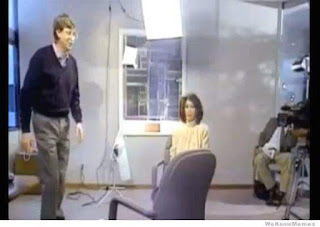 In 1994, he was asked by a TV interviewer if he could jump over a chair from a standing position. Gates promptly took the challenge and leapt over the chair like a boss. 10. One of Gates’ biggest splurges was the Codex Leicester, a collection of writings by Leonardo da Vinci. He acquired it at a 1994 auction for $30.8 million. 11. He flew coach until 1997, even though his net worth was already well into the double-digit billions. 12. Despite his immense wealth, Gates doesn’t believe in leaving children a ton of money as inheritance; his three kids (daughters Jennifer and Phoebe and son Rory) will inherit only $10 million each — just a fraction of his $81.1 billion net worth. “Leaving kids massive amounts of money is not a favor to them,” he says. 13. Gates says that if Microsoft hadn’t worked out, he probably would’ve been a researcher for artificial intelligence. 14. 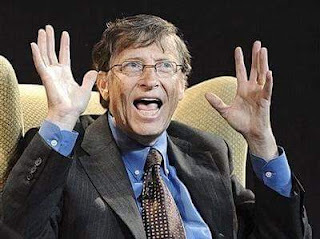 Gates doesn’t know any foreign languages, which he says is his biggest regret in life so far. Mein, this guy wicked o. How do you hustle so much to then leave peanuts for your kids. I hope it's just for them to face life and not totally count on his money but if he truly will leave them with 10million dollars each, he no good o. This is interesting but one thing still baffles me a lot someone say dropout are usually know better than their teachers how true? There's nothing more than when you discover what you are good at and use it to make a difference in the world at large. I uses to believe people like him belong to a fraternity. .😂 people like Faraday.. Albert.. .